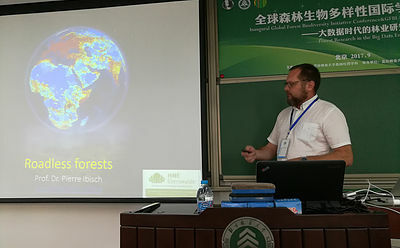 Presentation of roadless area research at the Inaugural Global Forest Biodiversity Initiative Conference & GFBI-FECS Joint Symposium 2017 "Forest Research in the Big Data Era" 6-9.September 2017 in Beijing, China. The role of roadless areas in maintaining connectivity for large carnivores in the Carpathians is highlighted at the conference on Large Carnivores’ Protection in the Carpathians organized under the Carpathian Convention in Rožnov pod Radhoštěm, Czechia. The conference closed with a declaration which includes as first recommendation to prevent habitat fragmentation and reduce disturbance associated with infrastructure development. We are invited to present about the importance of roadless areas for large carnivores at the conference “Nature in the Carpathians- status, threats and conservation perspectives” organized by OTOP, BirdLife and the Swiss contribution. 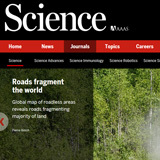 The Handbook of Road Ecology is published by Rod van der Ree et al. 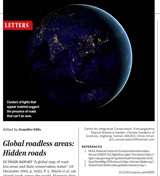 and includes a chapter on protection of roadless areas as one of the first “Why keep areas road-free? 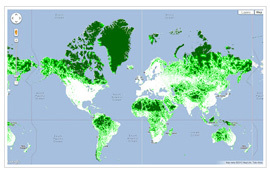 The importance of roadless areas”. We start addressing road reclamation and removal. Symposium Roadless ecology and conservation of roadless areas across scales organized at the 27th International Congress of Conservation Biology ICCB 2015 and 4th European Congress of Conservation Biology ECCB2015 in Montpellier. The Roadless Initiative was also presented at the symposium Conservation at the cross-roads: how roads and other linear infrastructure influence conservation. The Roadless Initiative is gaining stronger support from the transport sector. This is covered by the Policy blog of the SCB website. A declaration on the protection of Roadless Areas closes the IENE 2014 conference. 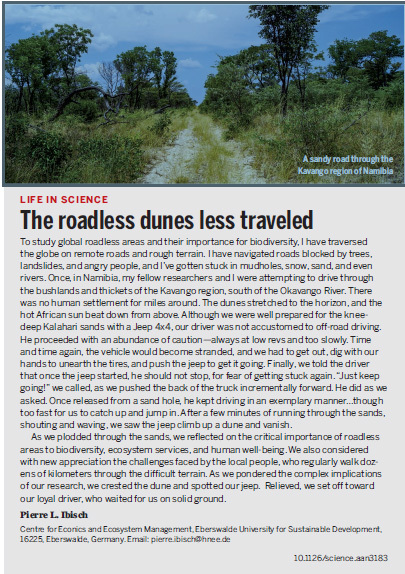 A subsequent publication appeared in the journal Nature Conservation. A plenary talk entitled “Why keep areas road-free? Roadless and low-traffic areas as conservation targets” is presented at the IENE 2014 international conference in Malmö Life for a Greener Transport Infrastructure. We organized and contributed to an additional session on Roadless Areas. We participated at the side event at the COP19 in Warsaw on Roadless Areas organized by Kriton Arsenis. He launched the website: www.roadfree.org. Symposium Roadless and low density-transportation networks as permeable landscapes and seascapes at the 26th International Congress of Conservation Biology ICCB 2013 in Baltimore, USA. It covered a wide range of participants form many continents. 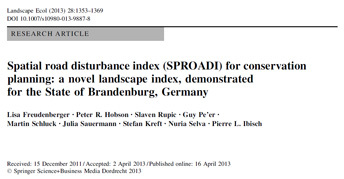 We developed an index to assess the level of road disturbance, named SPROADI, and published a scientific paper in Landscape Ecology. 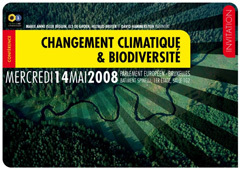 After these two global events (Rio+20 and COP11), the involvement of other SCB sections and a meeting in Glasgow during ECCB 2012, the SCB initiative goes global and as a trans-sectional activity. It is covered by the SCB policy blog. 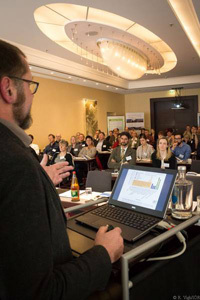 Workshop “How to avoid fragmentation in Europe’s least fragmented areas” organized at the IENE 2012 international conference in Potsdam Safeguarding ecological functions across transport infrastructure in cooperation with J.O. Helldin. The SCB Roadless Initiative is presented there as well. European Congress for Conservation Biology ECCB 2012 in Glasgow – Presentations “Roadless Areas: a potential tool to define European Wilderness Areas” and “Towards a quantification of wilderness? Innovative approaches to spatial planning and functionality-based priority setting for conservation” at the symposium Wilderness at the edge of survival in Europe. Roadlessness is presented as the most cost efficient and effective way to protect biodiversity at a side event at the 11th Conference of the Parties to the Convention on Biological Diversity (Hyderabad, India) organized by Kriton Arsenis. Attention is brought to the importance of keeping areas road-free to maintain biodiversity and ecosystem services. 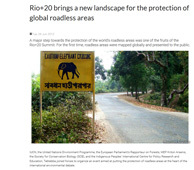 Roadless Areas are the main topic of a side event in Rio+20 organized by the Member of European Parliament, Kriton Arsenis, in collaboration with the Society of Conservation Biology and other organizations such as IUCN, UNEP, Conservation International or Tebtebba. The prototype map was presented and the Latin American and Caribbean section of SCB joined the initiative to explain about the importance to keep areas road free. Cooperation with the Member of European Parliament, Kriton Arsenis, and Google to produce a global map of Roadless Areas starts as an Earth Engine project. This prototype map shows the areas that are more than one or 10 km from the nearest road, rail or navigable waterway. 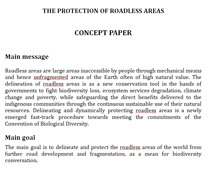 A concept paper on the protection of Roadless Areas is prepared to support the side event in Rio+20. Roadless areas are explicitly mentioned in the report on landscape fragmentation in Europe by the European Environmental Agency, as areas important for biodiversity conservation, whose protection is a high priority. Preventing further fragmentation is of high relevance, even in areas already highly fragmented. The article is covered in Conservation Magazine. The scientific paper “Roadless and low-traffic areas as conservation targets in Europe” is published in the journal Environmental Management. It was the most downloaded paper for some months. 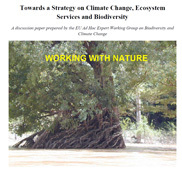 Representation in the EU Ad-Hoc Expert Working Group on Biodiversity and Climate Change of the DG Environment, Nature & Biodiversity Office. 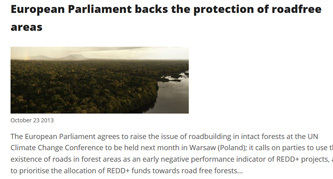 The Roadless Initiative is promoted and the issue of road fragmentation included in the final report “Towards a Strategy on Climate Change, Ecosystem Services and Biodiversity”. 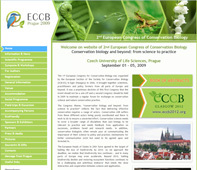 I European Congress for Conservation Biology ECCB 2009 in Prague, 2009- Presentation “Roadless and low-traffic areas as conservation targets in Europe” at the Natura 2000 Special Session. Roadless areas presented at the Green Week in Brussels as an SCB-Europe main activity. 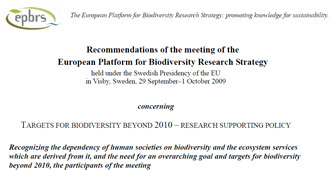 Contribution to the electronic conference organized by the European Platform for Biodiversity Research Strategy (EPBRS) Target for biodiversity beyond 2010: research supporting policy, where roadless areas were proposed as a post 2010 target. Visit of the Policy Committee SCB Europe to the European Parliament and Commission, during which the importance of roadless areas was presented. Presentation of the roadless areas as conservation targets under climate change in the conference Climate change and biodiversity at the European Parliament. 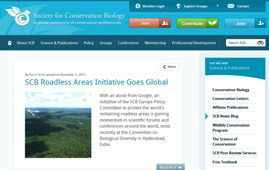 Start as a proactive initiative of the Policy Committee of the SCB-Europe section, inspired by the US Roadless Areas Conservation rule and the Rospuda case in Poland.